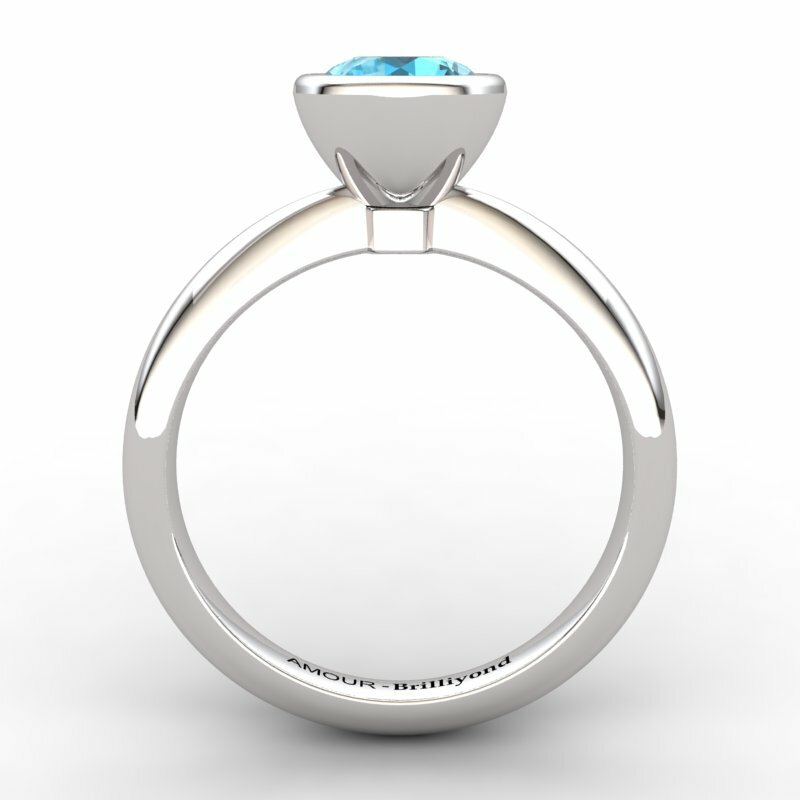 We need to make it just for you. It could take 2-3 weeks to deliver. 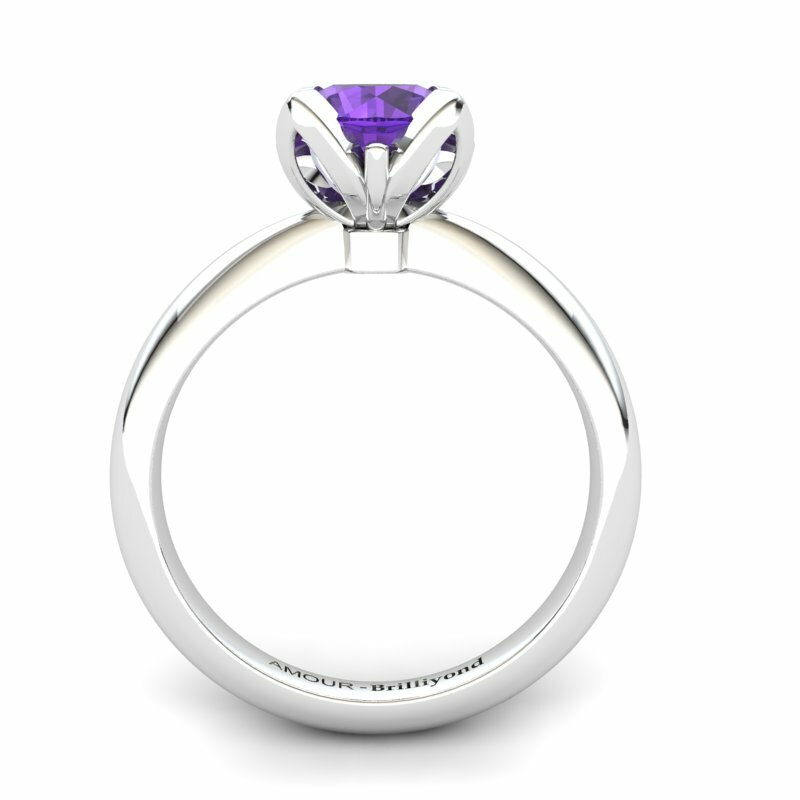 Dress to impress by sliding this hauntingly perfect steling silver lilac wonder tulip solitaire ring on your finger to complete your evening wear at your next black-tie affair and feel like royalty as the room lights up in awe. Featuring an elaborately inspired design, this sterling silver ring displays an exceptionally cut blue topaz center stone with vivid ocean blue colour flanking a well-presented sterling silver band to elevate any evening ensemble flawlessly. 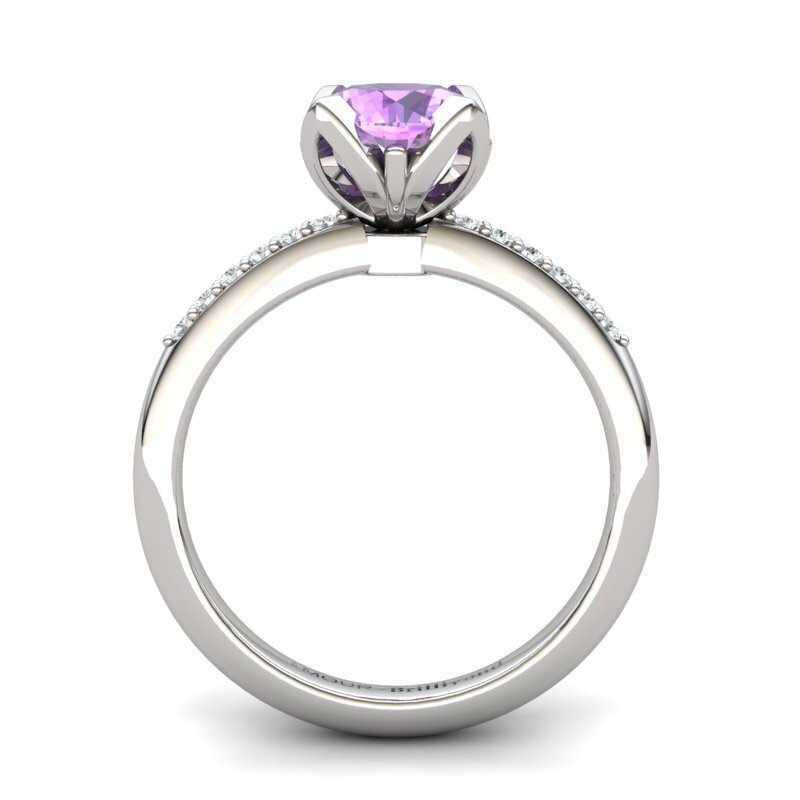 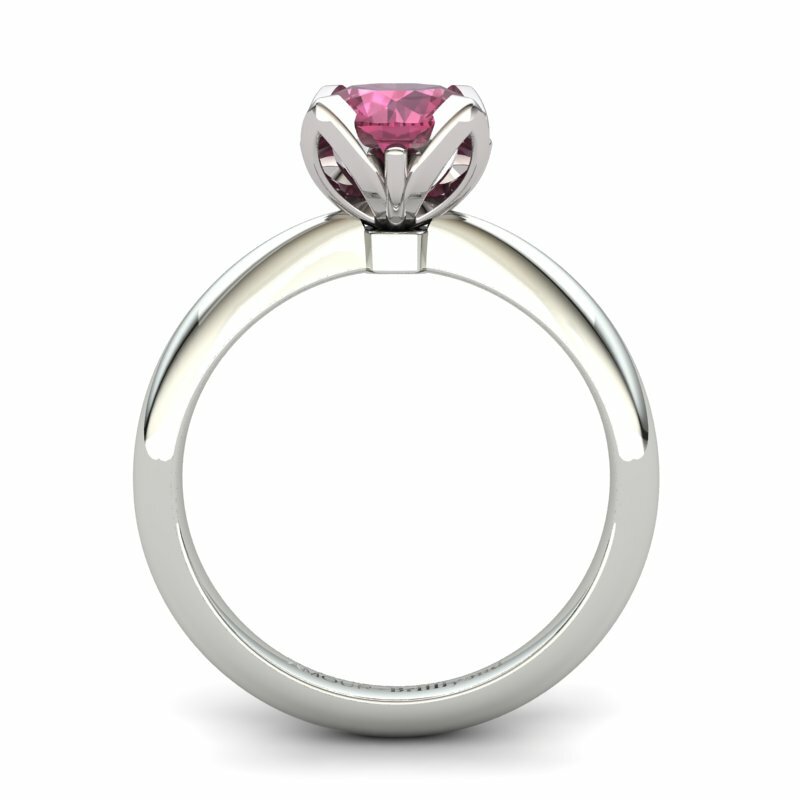 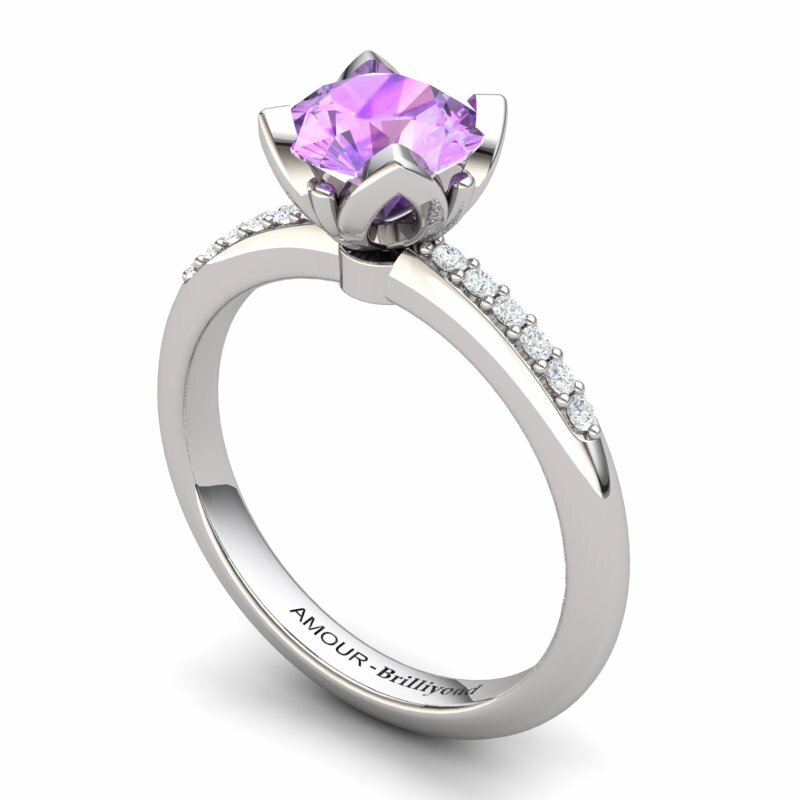 This breathtaking lilac wonder tulip solitaire primise ring is the picture-perfect accompaniment to any type of outfit. 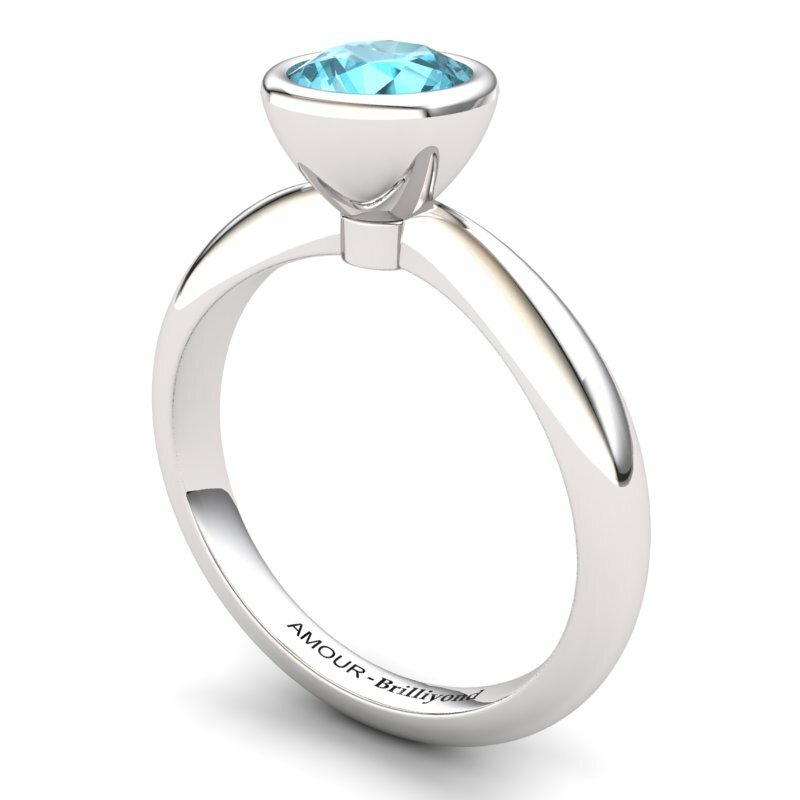 Offering a powerfully elegant design with a bold finish, this silver ring is sure to brighten the dullness of any room. 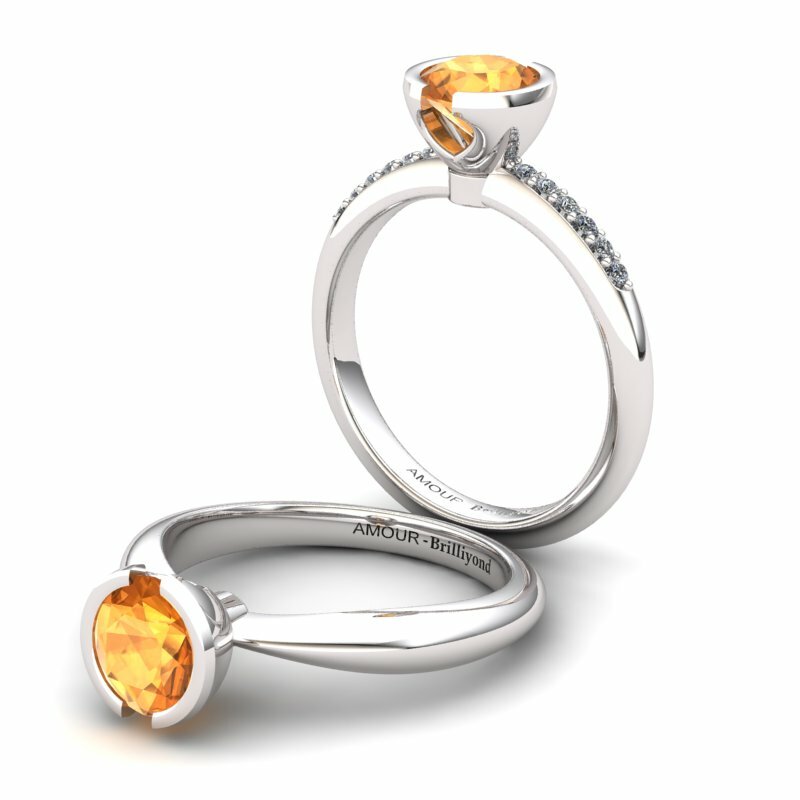 With timeless style that lasts for decades, this ring exhibits supreme craftsmanship for enduring beauty. 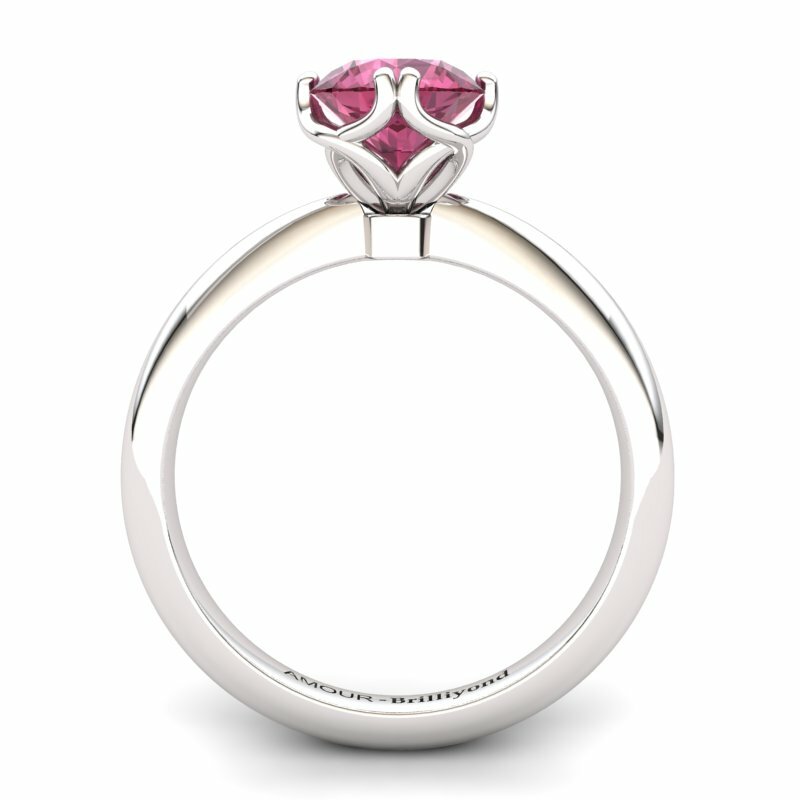 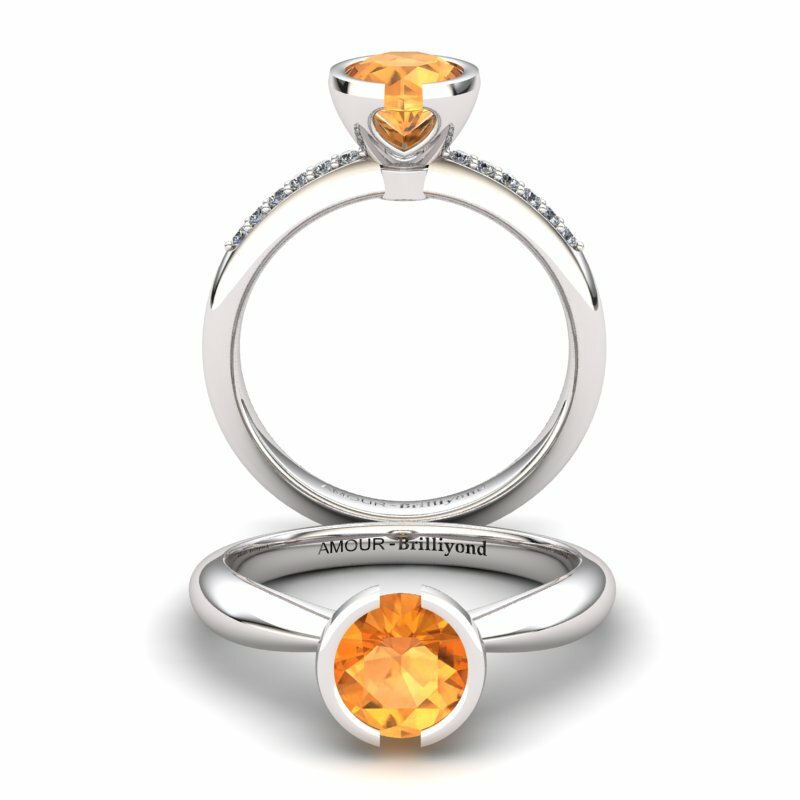 If you’re looking to buy a solitaire ring online, this exquisite piece of jewellery is exciting, not only for its finish but also for its wallet friendly low price. 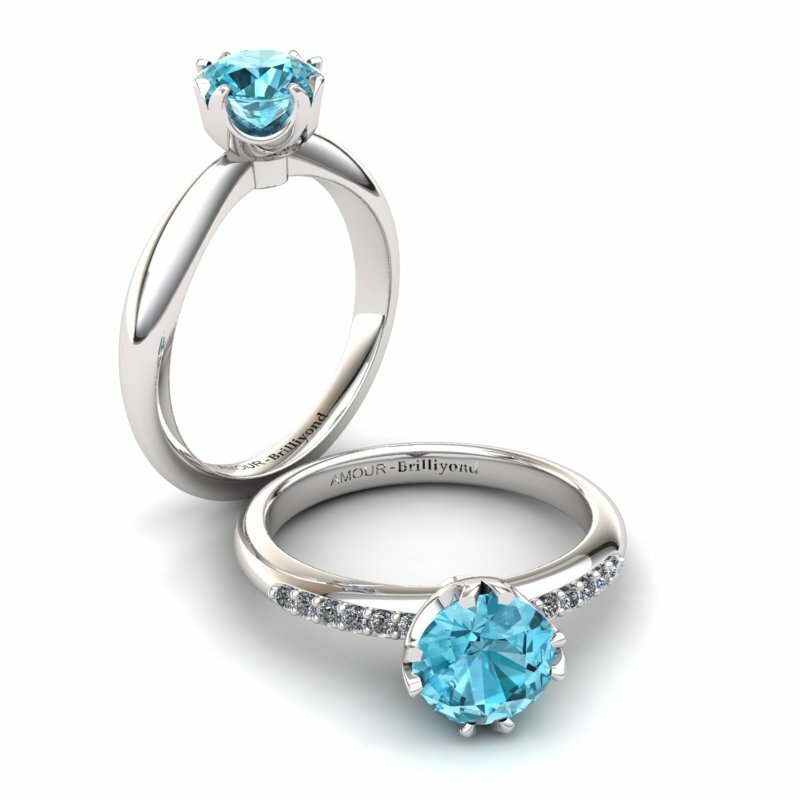 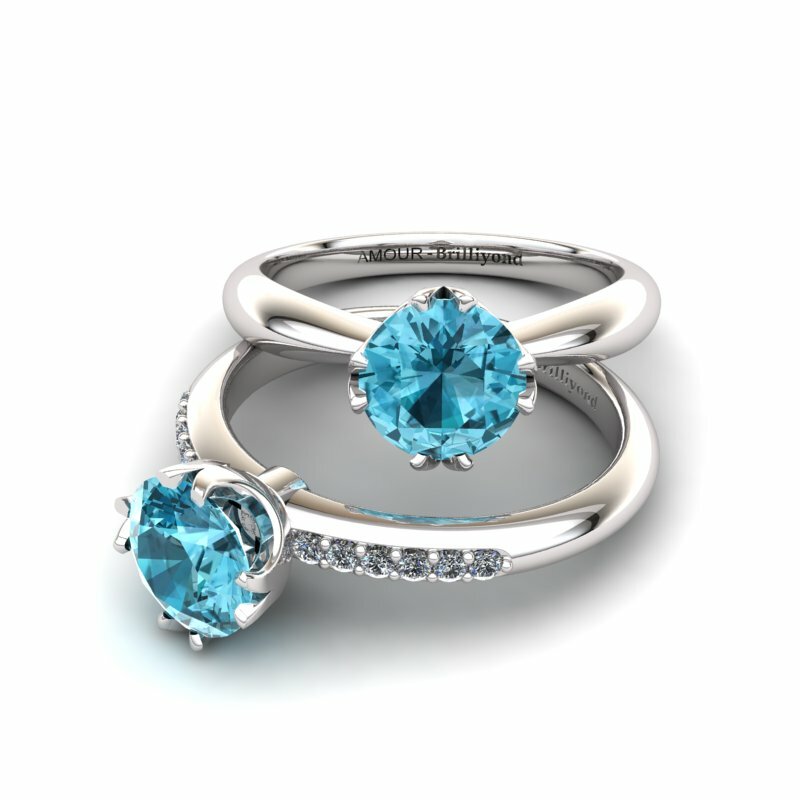 Slip this gorgeous blue topaz ring on your finger and you’re sure to earn an excited greeting every time.